CRAZY COOL GROOVY!!! 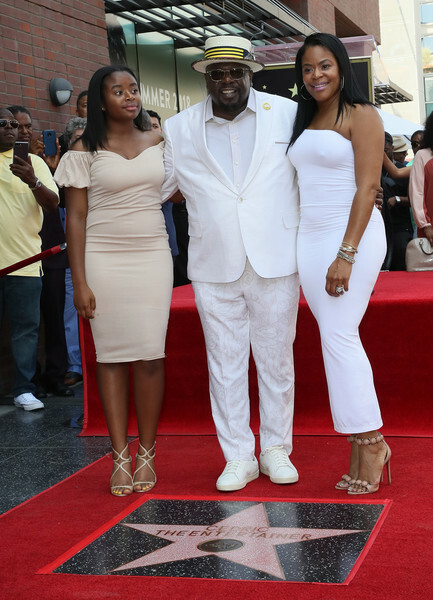 : CEDRIC The ENTERTAINER Receives STAR On HOLLYWOOD WALK Of FAME!!! 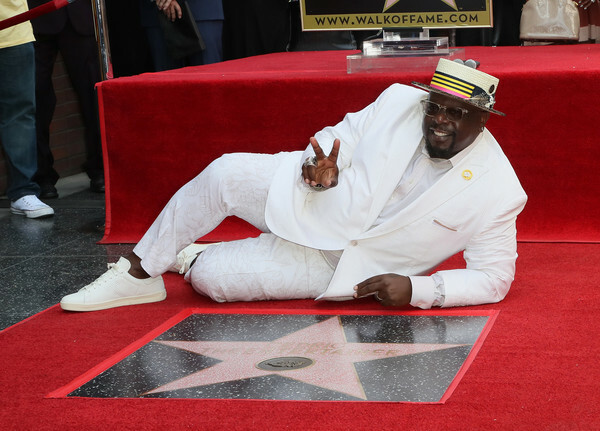 CEDRIC The ENTERTAINER Receives STAR On HOLLYWOOD WALK Of FAME!!! 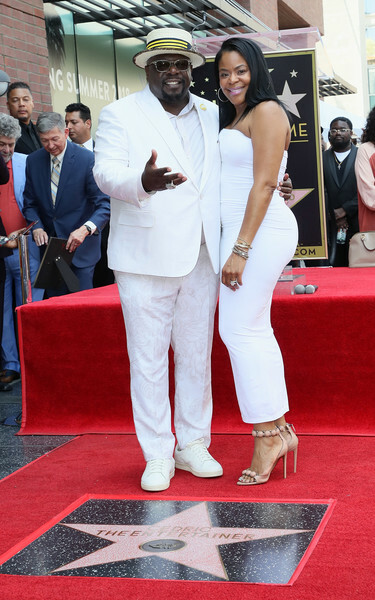 Yesterday in HOLLYWOOD, Comedian-Actor CEDRIC CEDRIC The ENTERTAINER KYLES received his strain the HOLLYWOOD WALK Of FAME!!! 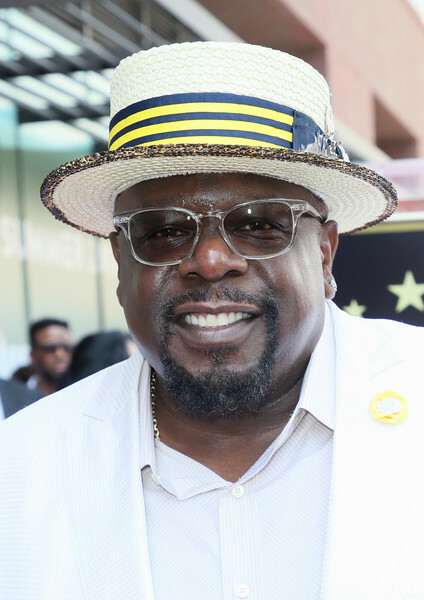 CEDRIC The ENTERTAINER was joined at the ceremony by COMEDY GET DOWN Co-Star GEORGE LOPEZ and LOS ANGELES LAKERS President of Basketball Operations/ BASKETBALL Hall of Famer EARVIN MAGIC JOHNSON. 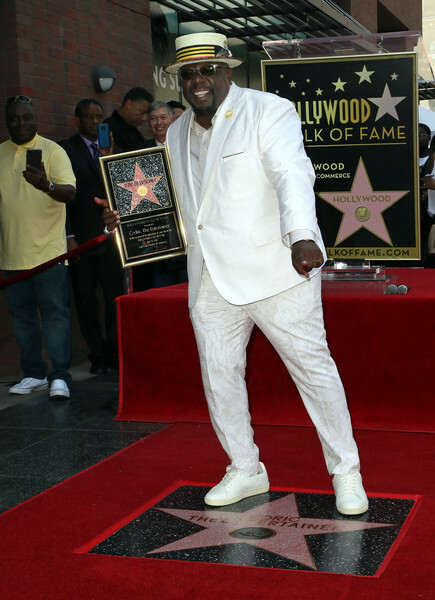 "Much Love to all of you, for your acknowledgement of me receiving a star on the Hollywood Walk of Fame to Today. Your support of my work throughout the years is a big reason why this day has come. Thank you! And I'm only getting started!" "The one thing that I am sure of in the 39 years that I've been able to call myself a professional comedian is I don't think I've seen anyone more deserving of all of this love, more deserving of a friend, more deserving as a peer,"
"People who don't have a voice, you give them a voice and you alway support people no matter what their status is, no matter how much money they make, you use your platform to always uplift people,"
CEDRIC The ENTERTAINER is the 2640th star on the HOLLYWOOD WALK Of FAME. It’s official y’all! 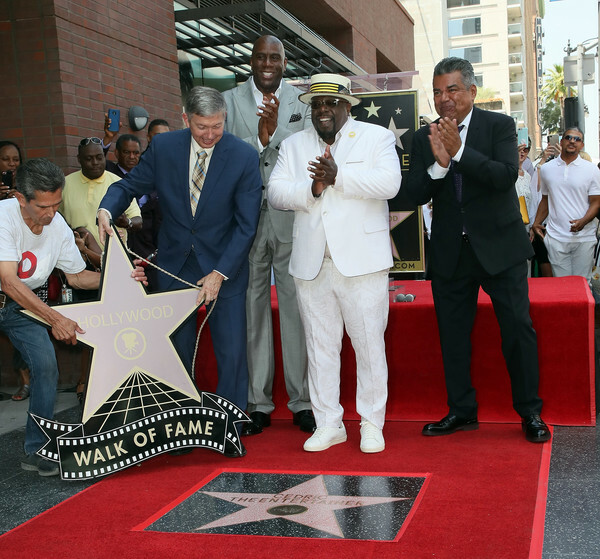 Thanks to @magicjohnson @georgelopez and all my friends, family and fans who came out to show love! I’m honored beyond words, I’ll holla!